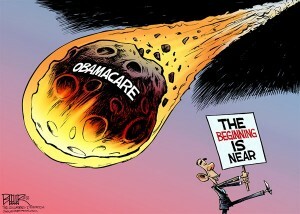 OC Politics Blog | Obamacare is so awful that Obama’s enforcers are rejecting it! Obamacare is so awful that Obama’s enforcers are rejecting it! Riddle me this, Batman: the Obamacare health plan is so bad, even its IRS enforcers don’t want to give up their existing federal health plans for the new Obamacare plan. The National Treasury Employees Union wants its members to be exempted from Obamacare. The union, which represents 150,000 total union employees, of which 100,000 are IRS employees, not only endorsed President Obama for election and re-election, but the union’s current president, Colleen Kelley, was a 14-year IRS agent and now is both union president and an Obama administration appointee, according to Spectator.org. The other terrific irony are the part-time Obamacare call center jobs currently being filled throughout the country, so the government doesn’t have to provide health insurance to the workers. The Contra Costa Times reported the giant new call-center in Concord, CA, with more than 200 employees, will staff with more than half of the employees as part-time workers with no health benefits. 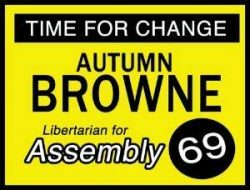 « Poll – who do you support to replace Hagman in the 55th Assembly District?